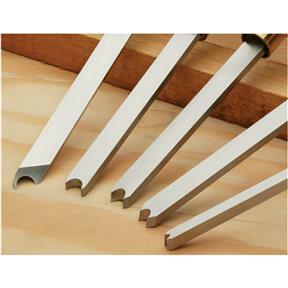 These beading scrapers make spindle turning and bowl beading easy and precise. Each high-speed steel chisel measures roughly 13-1/2" long with beefy 3/16 - 1/4" thick blades and 83/4" ash handles. 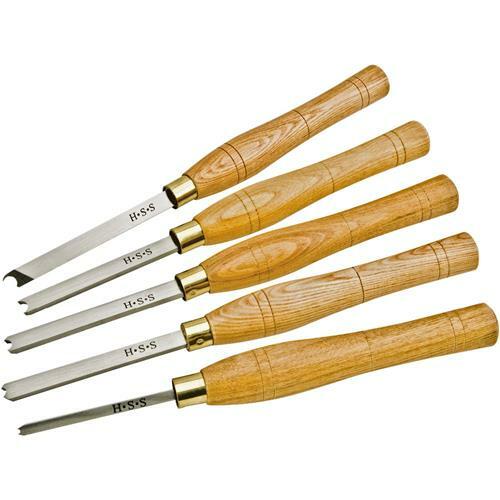 The tool tip design allows single beads or closely stacked beads for creative flexibility. 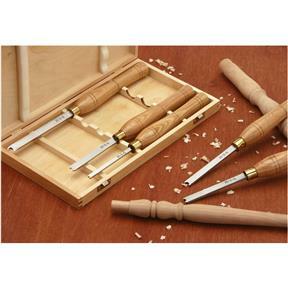 The set includes 1/8", 1/4", 5/16", and 3/8" diameter bead scrapers, and 3/8" diameter skewed double bevel beading tool. 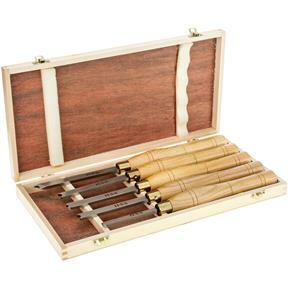 The chisel set is protected in a fitted wooden box.